We know the true labor of love it takes to envision, install, and integrate hardscape elements into your home’s yard. It takes serious planning, dedication, and commitment to create a dimensional space that elevates your living experience. We know this because that same commitment is instilled within each hardscape lighting product we develop. If you’re looking for authentically developed and assembled hardscape lighting that stands the test of time, you’re in the right place. We’re committed to providing comprehensive solutions for every home and hardscape, which is why we’re always adding new products to the hardscape lighting collection. With an extensive product lineup of outdoor wall lights, paver & concrete lights, and multipurpose outdoor lighting, there’s always an illuminating solution for your home. 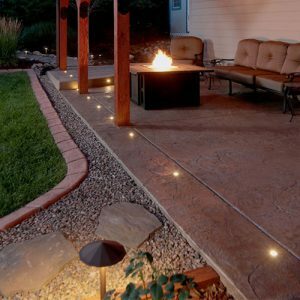 Choose from retaining wall LED lighting that perfectly complements stone masonry, in ground well lights designed for pavers, and the list goes on. 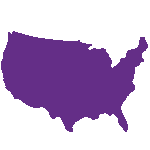 Unlike other lighting products on the market, you don’t have to question the source or soundness of DEKOR® hardscape lighting, because we make it all right here in the USA. From hardscape lighting product conception, to design, implementation, and production, it all happens at our beloved headquarters in Denver, Colorado. Home to our customer service team, designers, engineers, assemblers, and even company founder, Duane McCall, the Denver factory is the source of all of our bright ideas. Instead of sticking our name on products we don’t create or understand, we individually design, develop, refine, and deliver our hardscape lighting products right to your door. With complete control and freedom over every step of the process, you can put your faith in us to deliver quality hardscape lighting. All DEKOR® hardscape lighting arrives to your doorstep equipped with the convenient connection setup of Plug-N-Play™ technology. Instead of cutting or stripping wires, tracking polarity, or relying on technicians to bring your lights to life, we put the hardscape lighting job in your hands. 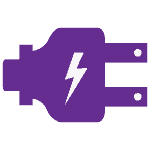 Simply connect each male plug into its female counterpart, connect to your dimming accessories (if applicable) and EZ transformer, plug into an outlet, and say hello to luminous hardscape lighting for life. From in ground well lights to paver lights, outdoor wall lights, and our complete collection of outdoor lighting, Plug-N-Play™ technology is always there to light the way. 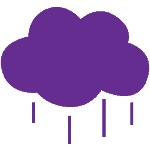 Ensuring you truly have hardscape lighting for life is our primary goal, and the driving force behind our weather protection processes. All of DEKOR®’s hardscape lighting is designed to withstand heavy storms, snow, sleet, sunlight, and beyond. With our waterproof transformer and light housing, your DEKOR® hardscape lighting braves the elements while radiating bright. And, DEKOR®’s hardscape lighting is integrated with an Alodine finish, epoxy primer undercoat, and polycarbonate lens that together, provide the full scope of corrosion resistance. After that, each hardscape lighting product gets the finishing touch of our impenetrable powder coating, giving a sleek finish that will stay primed and polished for years to come. Cree LEDs pack a colossal level of Lumens with a compact level of energy output, giving you the power to shine and sparkle without breaking the bank. And, all DEKOR® LED hardscape lighting is equipped with dimming capabilities, allowing you to find your ideal level of brightness. Incorporate our EZ Dimmer, EZ Wifi Controller, EZ Motion Controller, and beyond with your hardscape lighting to find your fine-tuned fit. 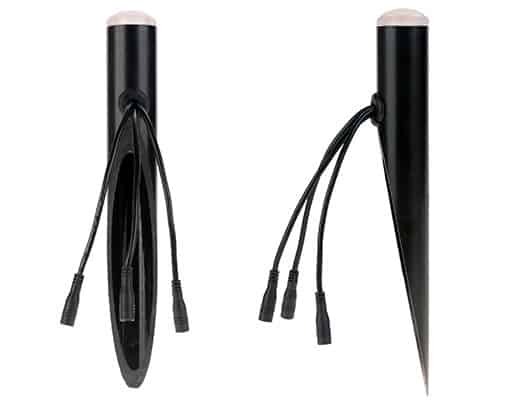 Activate the dimming controls of your hardscape lighting with a simple Plug-N-Play™ connection from your DEKOR® transformer to your dimming accessory of choice. The DEKOR® Difference lies in our unrelenting commitment to quality production and execution. That means that ever DEKOR® hardscape lighting product is sourced from top-tier raw materials, individualized construction, and passionate craftsmanship. Real, hardworking people at our Denver factory conceptualize, create, and craft each and every hardscape lighting product that’s offered on our shop. Our founders, leaders, and top thinkers source each element of our hardscape lighting products from industry-grade elements, whether its die-cast aluminum, heavy-duty polycarbonate, or weatherproof wiring technology. With DEKOR® Lighting, you always can count on quality hardscape lighting, for life and for good. "Thank you for your wonderful customer service and quality of product. It seems like the customer service you practice is a lost art in today’s world. Shannon was absolutely wonderful." "Duane, if you recall I’m a Gulf War Veteran for the US Navy. I saw your product while I was training in San Diego. You were so nice to me when I asked if you gave a discount for veterans. You were so giving and I appreciate the help you were able to give to me. I am a mother trying to raise children and serve our country at the same time. When I returned home the product was on my doorstep and with a little neighbor help we installed it in no time and it looks great. Thanks so much." "Tell Duane we were very impressed with the lighting and will continue to use it in the future. I had heard from other builders and contractors how exceptional this product is. They were right. Nothing on the market is even close to being this good. Truly an exceptional well designed and build product." DEKOR®’s integrated collection of outdoor wall lights provide elevated illumination, convenience, and ambiance without a drawn-out setup. 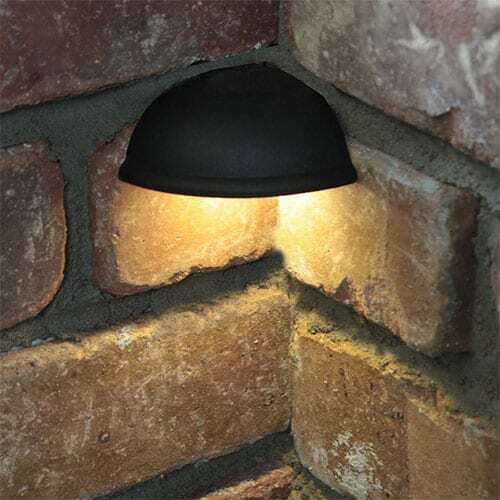 Designed to gracefully accent your home’s stone masonry, brick work, hardscape steps, and beyond, the dimensional distinction of our outdoor wall lights means there’s an illuminating solution for every home, and every homeowner. The Glow-Rite LED hardscape outdoor wall lights collection was designed to fulfill the essential purpose of all DEKOR® lighting products: to deliver top-tier innovation with low-level installation. Our aim is to create a lighting experience that admirers will swear is professionally installed, even if you did it yourself. The Glow-Rite LED Outdoor Wall Lights collection is offered in three distinctive shapes and sizes: the classic Glow-Rite LED Hardscape Wall Light, the Glow-Rite Petite LED Wall Light, and the Glow-Rite LED Corner Light. The classic Glow-Rite was the pioneer of our collection, exclusively designed for retaining wall or masonry applications. Offer a high light output while maintaining impressive efficiency, the Glow-Rite is made of die-cast aluminum, and offered in a range of durable powder coating shades. Use our Plug-N-Play™ technology and mounting shelf designed for mortar embedding to expertly install your Glow-Rite LED Outdoor Wall Lights in stone masonry walls and steps, brick work, and beyond. 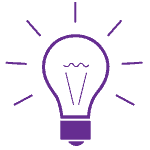 And, in the unlikely event your LEDs need replacing, simply remove the protective lens to change out the light instead of taking off and reinstalling the entire system. The Glow-Rite Petite is simply a compact version of the classic outdoor wall lights. Packing the same stunning features in a miniature component opens up the space and allows for dynamic use. Just 4.5” wide by 1” deep and 1.75” tall, this die-cast aluminum structure echoes the same dazzling details of the original, with 144 Lumens of LED shine in the compact unit. The Glow-Rite LED Corner Light was introduced to the Glow-Rite family to provide added accessibility, versatility, and function for our outdoor wall lights. Every home suffers from dark and dreary corners in need of shine and sparkle, which is where Glow-Rite Corner Outdoor Wall Lights come in. The subtle curved design of this LED corner light provides illumination while remaining discrete and allowing for smooth water runoff. Created to not overwhelm your home’s natural shape with bulky extras, the Glow-Rite corner light is a perfect match to our other Glow-Rite outdoor wall lights, creating a dimensional and distinctive hardscape lighting system. Glow-Rite isn’t where our outdoor wall lights end, however. With every successful hardscape lighting product, there’s always room for growth. 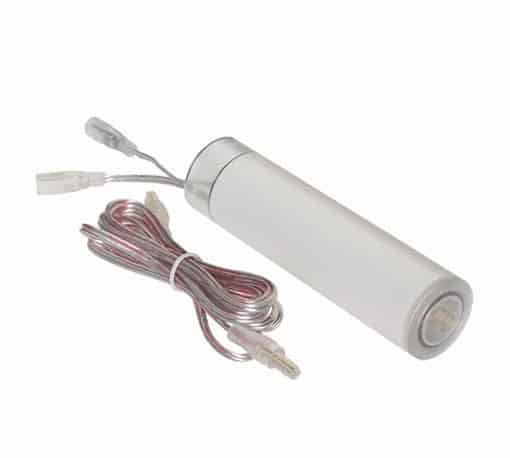 The LED Hardscape Wall Light, Hardscape Slim Line LED Wall Light, LED Hardscape Corner Light, and Radiance Multi-Function Light are clear examples of that. DEKOR®’s LED Hardscape Outdoor Wall Lights add dramatic lighting effect with minimal setup, giving you a glowing environment with ease. Install under the top lip of concrete, stone, or masonry to create a spotlight effect in no time. Highlight your home’s address, stone details, entrances and beyond with these outdoor wall lights to provide much-needed visibility, security, and safety at night. The Hardscape Slim Line LED Wall Light reflects many of the minute details of the Hardscape Outdoor Wall Light, with a slim and streamlined design. This accented down light has a slender design, measuring 7.25” wide, 1” deep, and just .75” tall. Giving you added accessibility for any home, big or small, these outdoor wall lights push the architectural boundaries while maintaining a sleek shape and stress-free setup. DEKOR®’s LED Hardscape Corner Light is the ideal complement to our integrated outdoor wall lights collection. With a slim and curved design that subtly accents your home’s shape and style, the outdoor wall light elevates your hardscape lighting simply and successfully. As with all DEKOR® hardscape lighting, namely outdoor wall lights, the corner light is offered in our dimensional range of powder-coated shades, and is easily installed with our keyed waterproof Plug-N-Play™ connectors. The Radiance Multi-Function Light presents range, versatility, and dimension to our collection of outdoor wall lights. Unlike any hardscape lighting product we offer, the Radiance Multi-Function Light is so much more than just an outdoor wall light, with the ability to project a radius of light like no other. With a 120º beam radius and high light output, the Radiance reflects the design of our Radiance landscape lighting collection, with a mounting setup for any vertical surface. Use for uplighting, downlighting, wall washing, and beyond for vibrant Radiance and shine. We understand how difficult it can be to shape your home’s exterior with your existing hardscape. 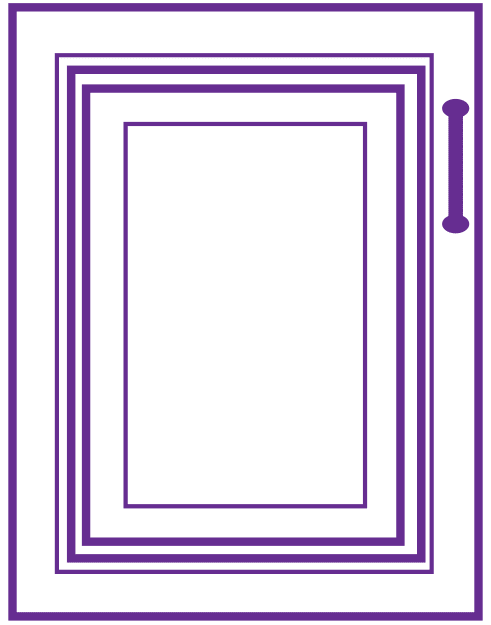 Concrete and stone are designed to be impenetrable, making any adjustments or addition to them nearly impossible and impractical. That’s where DEKOR®’s accessible collection of concrete and paver lights come in. DEKOR® LED PAVERDOT™ paver lights were designed to fill the need for paver and concrete lights that effortlessly blend into your hardscape while shining bright for all to see. Designed for patio, walkway, driveway, and pool deck installation, these compact paver lights are the finishing touch your home needs. With the major success of our in ground well lights for decks, Deck Dots™, we knew we had to take our hardscape lighting a step further. By reimagining our successful recessed deck lighting as hardscape stone and concrete lights, we expanded the breadth of possibilities for homeowners. With a completely sealed weatherproof and waterproof housing, these innovative paver lights are able to withstand extreme weather and wear and tear.What makes these in ground well lights so innovative is their seamless integration into your hardscape. Aligning perfectly flush with your surfaces, these in ground well lights remain virtually undetectable by day, and vividly unforgettable by night. With simplified installation, greater adaptability as concrete lights, transparent housing, stress-free Plug-N-Play™ technology, and higher light output, our PAVERDOT™ in ground well lights are the next step in DEKOR®’s story. Available in two cable length options to supply greater accessibility and range of use, choose the paver lights setup that works best for you. If you plan to space the paver lights every 24″, the 5 ft cables are your best bet. Or if plan to space your concrete lights every 85”, the 10 ft cables are your perfect fit. Choose from our expandable 4 packs or the complete paver lights kit, which includes added contents for versatility and convenience. Upgrade your hardscape lighting to Cree LED’s latest generation of lighting, NexGen, which increases brightness by 300%. Choose from paver/stone installation or concrete installation, giving you specified instructions catered to the concrete lights or paver lights function. Let your paver lights shine with our classic EZ PhotoCell timer, or upgrade to our cutting-edge EZ Wifi Controller to command your paver lights right from your phone. Increase your transformer capabilities to allow for added paver or concrete lights, expanding the possibilities and shine. No matter what you choose, with DEKOR® LED PAVERDOT™ in ground well lights, you can do it all. 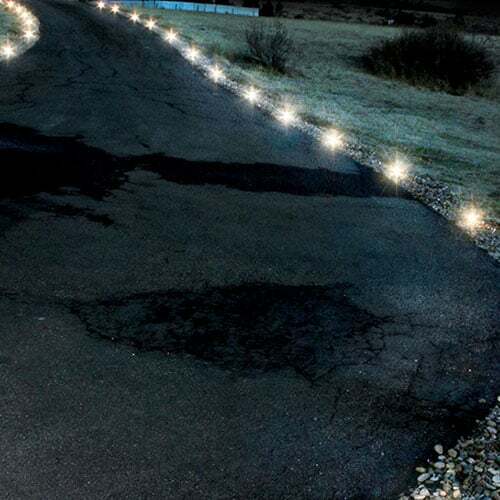 Step & Stair PAVERDOT™ Lights extend the possibilities of paver lights even further. With a 30º downlight angle that gracefully cascades onto your yard, you can effortlessly illuminate your hardscape stairs with our in ground well lights like never before. These concrete lights are designed to be embedded in stone and concrete, making your life a little easier. Allow DEKOR®’s in ground well lights to increase visibility and safety while seamlessly blending into your concrete or stone stairs. Since these compact paver lights are designed to lay perfectly flush with your steps, you can take each step with confidence and clarity. Choose from the Step & Stair PAVERDOT™ paver lights expandable 4 pack or complete kit, with 5’ and 10’ cable length options. The PAVERDOT™ paver lights kit arrives to your doorstep with an EZ PhotoCell timer, transformer, Plug-N-Play™ connectors, and 8 PAVERDOT™ light elements. 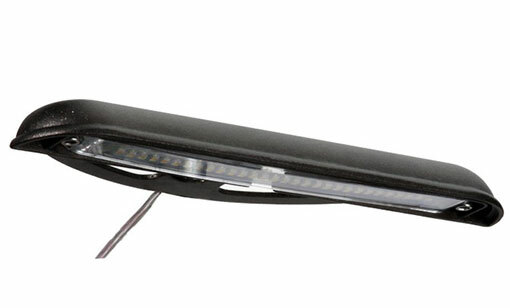 Choose from the classic Cree LED shine or NexGen luminosity, transformer upgrade options, controller choices, and more. The PAVER-LITE Paver Block Light is your illuminating answer for brick, block, interlocking stone, pavers, and beyond. Strategically designed to be installed with 6” x 9” paving blocks, this seamless paver lights solution simply replaces a concrete or stone block. Instead of a classic paver, these illuminating paver lights add a stunning shine that increases visibility, safety, and ambiance. With a waterproof housing and complete airtight sealing, these forward-thinking concrete lights require no maintenance over time. 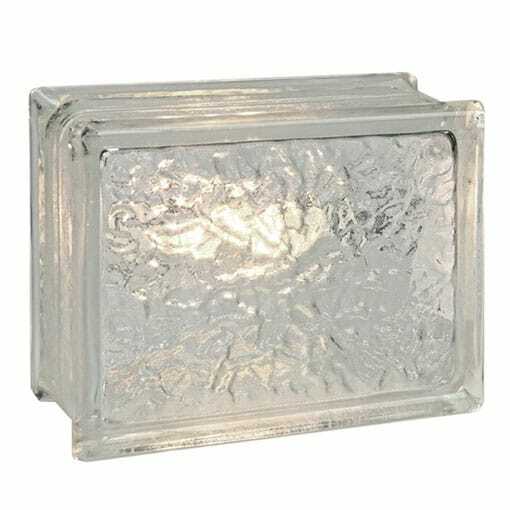 Made from .25” thick molded glass, this robust and transparent block fixture is commonly used as patio, deck, pool, and paver lights. But with a rated 600 PSI, this expertly built block has the capacity to hold the weight of any vehicle, making for a glowing driveway lighting solution that doubles as concrete lights. And when paired with its robust housing design that withstands years of daily driving and parking, your driveway’s concrete lights will stay shining through it all. Beautifully accent your home with these paver lights while providing much-needed visibility and security for many nights to come. On top of our dimensional paver lights, concrete lights, and outdoor wall lights, we’ve introduced versatile hardscape lighting solutions made for everything in between. If you’re looking for a hardscape solution that stands the test of time, but forms and flexes to fit your home’s unique needs, our multipurpose outdoor lighting is your answer. The EZ EDGE LITE™ is our take on in ground landscape-hardscape edge lighting, designed to illuminate pathways of any shape, size, and material. With a simple, tool-free installation into your ground, your EZ EDGE LITE™ outdoor lighting comes to life with ease. Designed to be pushed into your lawn, gravel, mulch, and other natural materials, the EZ EDGE LITE™ is our snappy twist on outdoor lighting. Illuminate your hardscape pathways with ease and accessibility with this versatile outdoor lighting solution. 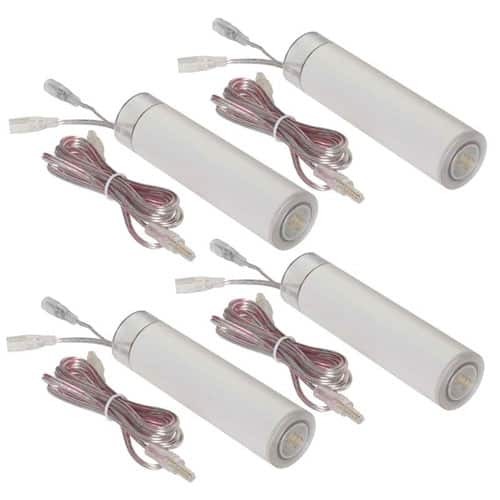 Choose from our expandable EZ EDGE LITE™ 4 pack, or pick up the complete outdoor lighting kit, packed with cable length options, LED options, an EZ transformer, EZ PhotoCell timer, and more. And, if you’re seeking simplicity to the highest degree, upgrade your lighting controller to an EZ Wifi Controller for dimming, scheduling, activation, and zone programming of your outdoor lighting right from your smartphone. NO SEE EM LED Strip Lights are another illustration of the versatile value of DEKOR® outdoor lighting. 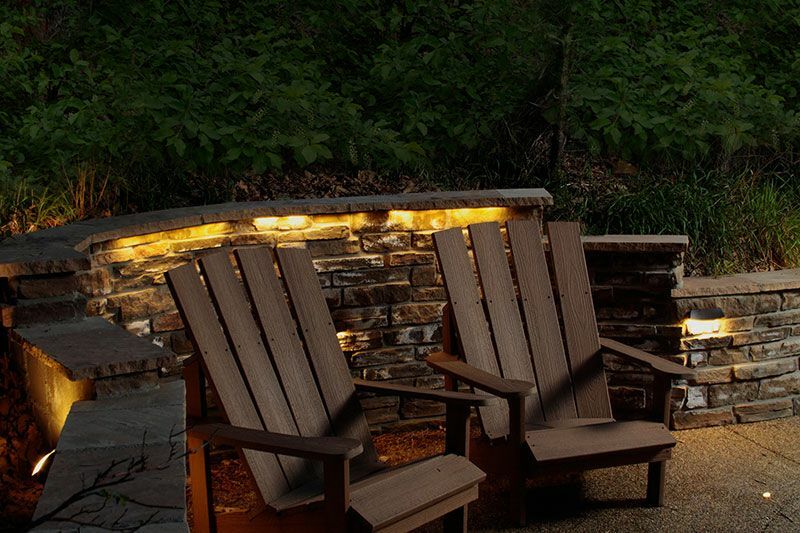 Designed to be embedded in, above, around, and under your home’s hardscape, NO SEE EM LED strip lights are one of our most dimensional outdoor lighting options. 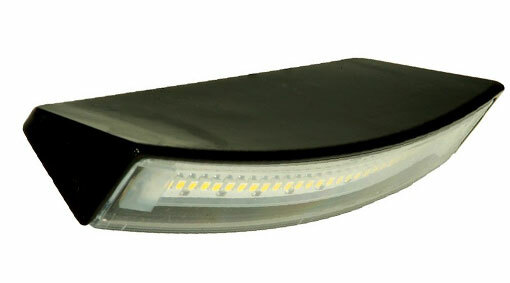 With a simple industry-strength adhesive backing, these low-profile strip lights are waterproof, weatherproof, and durable, raising the standards of outdoor lighting across the board. Place NO SEE EM outdoor lighting under cap stones to create accented illumination in no time. Or, line them under stair treads for simple stair lighting in seconds. Wherever you need extra shine and polish, NO SEE EM outdoor lighting is there. 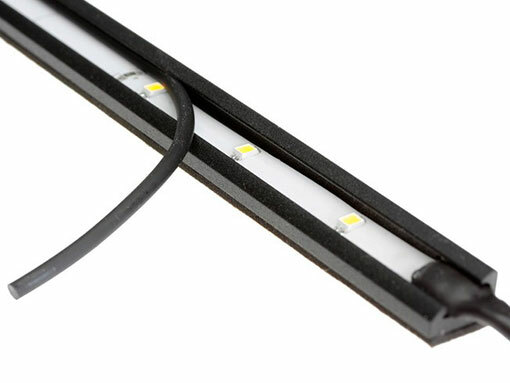 NO SEE EM LED Strip Lights are available in single strips or collective outdoor lighting 4 packs, including 4 NOSEEM light strips, a 36-watt waterproof transformer, photocell timer, mounting hardware, and instructions. The Radiance Multi-Function light has adaptable outdoor lighting use as well, with the transformative power to become stair lights, outdoor wall lights, and deck lights. For dimensional use, simply install the Radiance on any vertical hardscape surface in need of outdoor lighting luminosity. The Radiance Multi-Function light is designed for stone or concrete installation, functioning as uplighting, downlighting, stair lighting, and beyond. To adapt this outdoor lighting solution to fit your needs, simply find a vertical hardscape surface large enough to house the light, install in the direction you want the light to illuminate (up or down), and connect the Plug-N-Play cables to a power source. With a 120º lighting radius, Radiance outdoor lighting creates an encircling glow that makes any space shine. 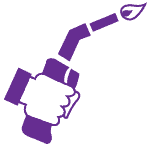 Because we have complete jurisdiction and control over our production process, we have the unrivaled ability to offer a dependable, time-tested warranty others can’t match. With DEKOR®’s outdoor wall lights, your hardscape lighting is protected for 5 years in the case of product failure or workmanship errors. And, your powder coating is protected a whopping 30 years from defects, keeping your lights polished and shining for years to come. All PAVERDOT™ paver lights, including both Step & Stair and the classic PAVERDOT™ light, are protected for 10 years from flaws or errors in workmanship. And, our EZ EDGE LITE™ hardscape lighting is also protected for 10 years. 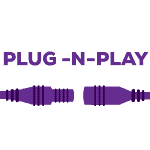 To learn more about the specifics of our warranty offerings, check out our warranty policy.